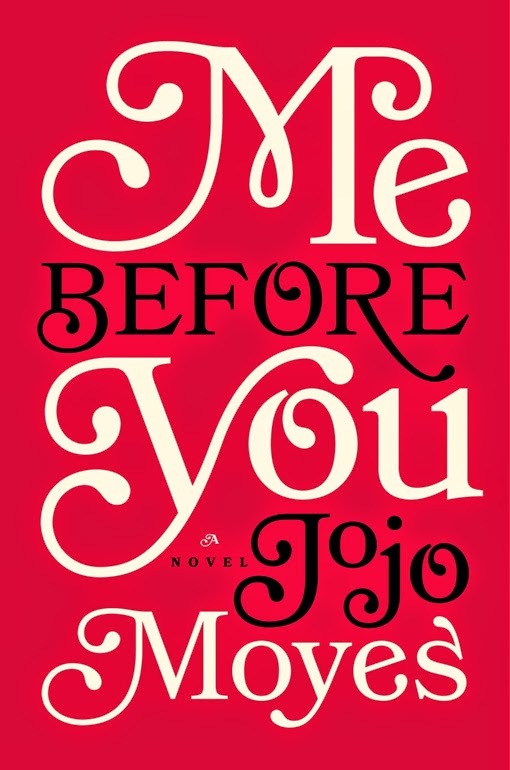 I've been Jones-ing for word on the adaptation of Jojo Moyes Me Before You. If you've read my take you know I'm a huge fan of Moyes best-seller. And while I was aware that YA scripting superstars, Scott Neustadter & Michael H. Weber had been signed to write I learned from Deadline that the author had already written the first draft. According to Deadline anyway. I hope that didn't go down too hard with Ms. Moyes; she's a fantastic novelist but it doesn't necessarily follow that she'd make a fantastic screenwriter. Neustadter and Weber probably couldn't write a book between them but when it comes to screenplays, the pair rules the YA indie world. The duo who wrote the original screenplay (500) Days of Summer are doing gangbuster business in the adaptation department, counting The Spectacular Now, and the upcoming The Fault in Our Stars, Paper Towns, and Where'd You Go, Bernadette among their list of credits. I'm a major fan, and actually, I dunno, they might even nail a novel if they tried. The big news is that a director has been hired - which also means the script must be well in hand and it's time to start thinking seriously about casting. I'm excited about the choice; Thea Sharrock, the acclaimed British theater director. The project would be her feature film debut but the woman has a super impressive resume including Daniel Radcliffe’s 2008 Broadway debut Equus, Danny DeVito in The Sunshine Boys, The Misanthrope with Keira Knightley and Damien Lewis, and the Olivier Award winning After the Dance starring Benedict Cumberbatch. Next up is Kevin Spacey as Clarence Darrow in the Old Vic production of Darrow. Plus the BBC's Call the Midwife, and The Hollow Crown (trailer below). That's who is directing Me Before You. So yeah, I'm excited. Deadline's sums up the plot nicely or read my take for more details. The novel tells the story of Lou, a small-town girl caught between dead-end jobs, and Will, a success all his life who finds himself wheelchair-bound after an accident. He finds no reason to live until they meet when he hires her as his caretaker for six months, and she becomes determined to prove to him life is worth living. They head for a series of adventures together, which changes each of them. Sharrock told EW she loved the book said she is determined to cast Brits in the roles of Louisa and Will. "Sharrock is also mindful of preserving the British specificity of the book when it comes to casting her leads. She knows it’s fraught territory whenever an American is cast as a beloved British heroine. Think Anne Hathaway in One Day or Renee Zellweger in Bridget Jones. Both were derided when initially announced, yet Zellweger eventually overcame what Hathaway in One Day couldn’t. Me Before You ... Time to get casting! This has me very excited! Against all odds, I absolutely loved Me Before You and was a crying, wet mess before I got to the end of the book. It has the potential to be a very good film and I'm encouraged by everything you've written about here. Thanks, as always, for being my main source for film information! That's the thing; you almost expect it to be maudlin and overly sentimental but Moyes doesn't let that happen.